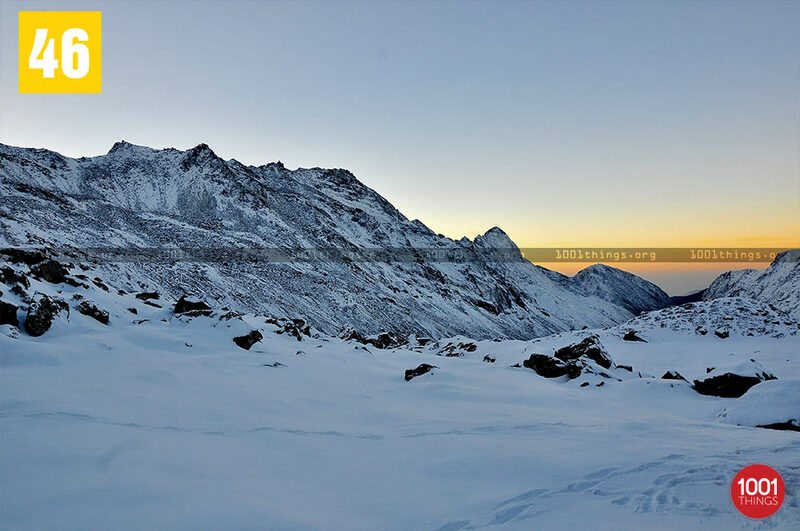 Sikkim which is one of the most beautiful places on earth is also a trekking paradise for those who are into this kind of an adventure. 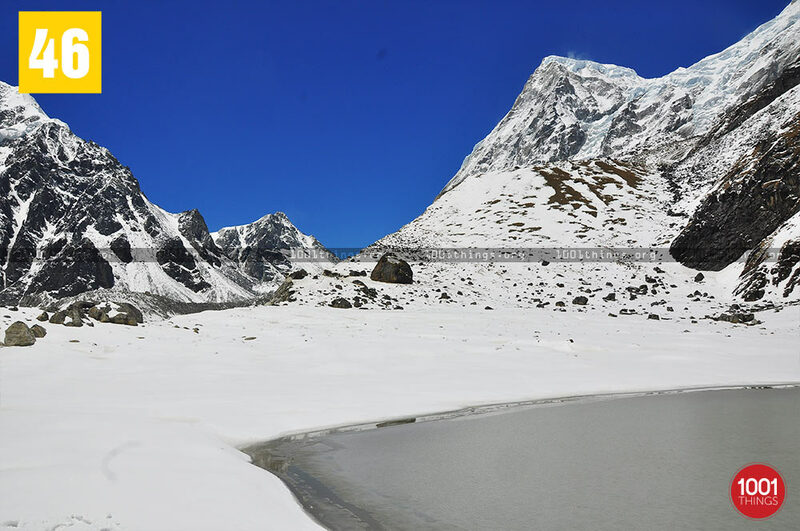 Among the various trekking destinations here, one of the great choice is the Chaurikhang or the Himalayan Mountaineering Institute (HMI) Base Camp Trek, which starts from a place called Yuksom. 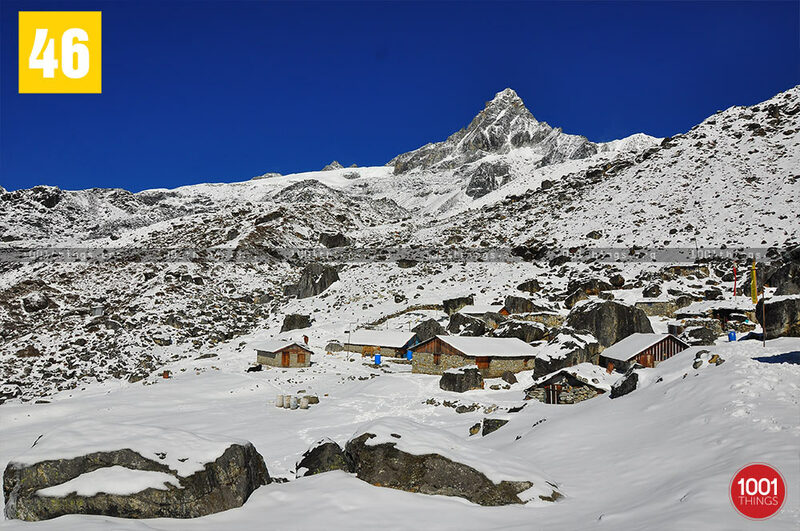 It was the first capital of Sikkim established in 1642. The trekking trial begins from Yuksom which passes through dense forest rich with flora and fauna, the trek is not so tiring with a series of ups and downs upto the fourth bridge which is Prek chhu. 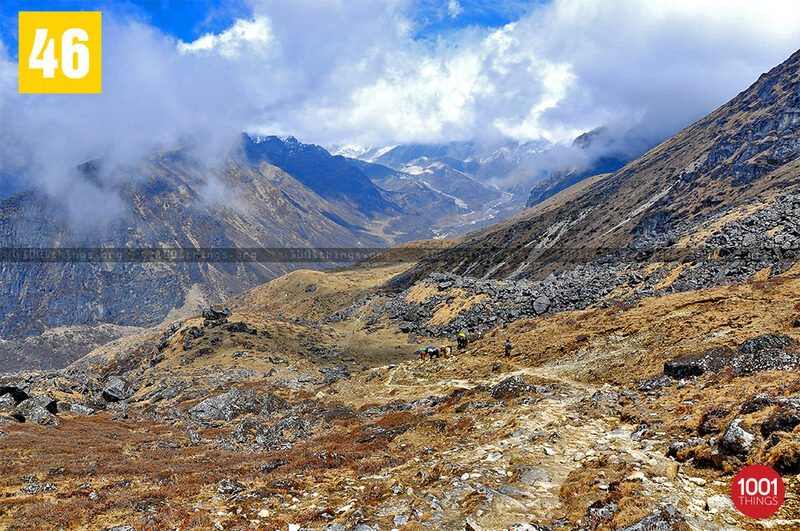 The real trek begins here with a very steep climb upto the first resting place “Tshoka” about 10,000 ft. The view of beautiful and majestic mountains Mt. Pandim, Mt. Tenzingkhang, and Mt. Japuno can be seen from here. Another challenging trek begins with another ascending trail from Tshoka, Although the route is a little difficult it is equally beautiful and refreshing with various species of rhododendron forest and the paradise for the bird lovers, Phedang is a beautiful place to take some rest on a way and save the breath for another tiring climb upto “Deorali” .From Deorali it only takes about 15 to 30 mins to reach Dzongri which is 13000 ft. 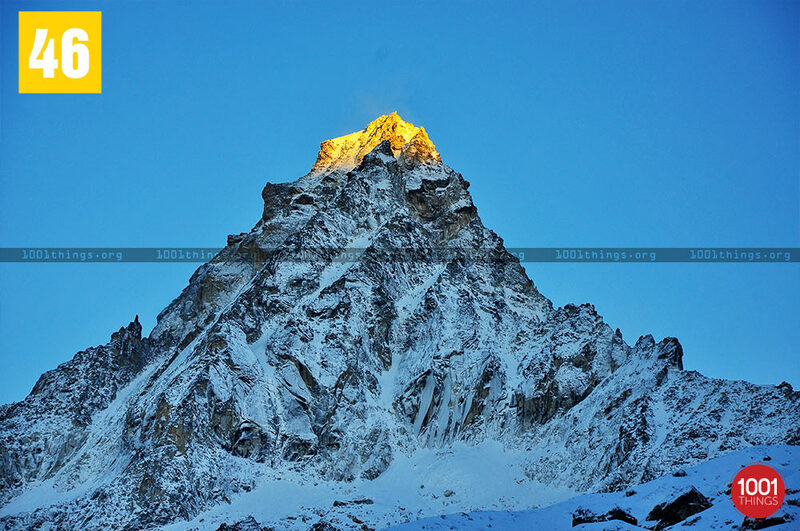 Visiting Dzongri Top early in the morning is another great experience, from where the majestic Mt. Kanchenjunga can be seen. There are some beautiful lakes to visit here. Doodh Pokhari is the most famous. The lake itself is surrounded by the different peaks and glaciers. The lake is considered to be holy by both the Hindus and the Buddhists, even the pilgrims from Nepal comes here to perform the sacred rituals. It is a must visit for people who love adventure sports especially Trekking.